It is no surprise that when Eclipse went down in bankruptcy, you could just about bet that anyone with an aviation charter or taxi model based on the Eclipse 500 VLJ was sure to be a casualty as well. The first and largest was Dayjet, who suspended operations in September, 2008. 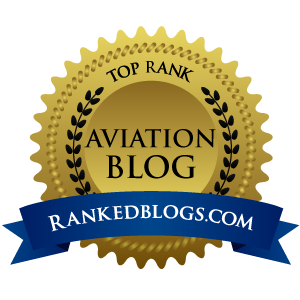 "After devoting several years to market analysis, equipment evaluation, pricing structures, service areas and operational planning, Robert Crandall has decided to ground Pogo, his start up very light jet charter operation, before it ever left the ground. He says he's returning what remains of the operation's seed money to investors. Although Pogo was usually described as an "air taxi," Crandall dismissed that label, saying, "I don't know what that means." Rather, he described the intended service as a typical FAR135 charter operation using small jets with trips confined to the northeastern United States. The group had considered several jets, but seemed finally to settle on the Eclipse 500, primarily for its low acquisition and operating costs. However, Eclipse declared bankruptcy earlier this year after delivering fewer than 300 aircraft." I'm saddened to see Pogo become Nogo, because I thought of all the various VLJ-based air taxi operations that sprang up out of nowhere, Crandall's Pogo had the most chance at success. Say what you will about today's American Airlines, but there can be no debate that as the Chief of that legacy carrier, Crandall learned a few things about selling aircraft travel services to humans. "You're going to see a lot of alternative models emerge in aviation" because with the continuing contraction of airline service, "it's getting harder and harder to go from Point A to B in the United States. There is a market out there for alternative models that will save people time," Crandall said." I'm going to agree with Crandall on the need for business people to re-think how they fly privately. One way that I think is gaining new value is aircraft co-ownership, not unlike the same set-up that the guys in the hangar next to you have in that four-way they maintain in a Skyhawk. 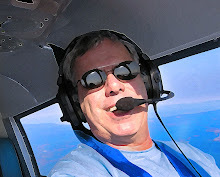 While fractional deals may be cool, now and wow, maybe this "alternative model" that Crandall speaks of is really just an old school way of aircraft ownership...the multi-owner deal. Four companies, each buying a piece of a nice, fast, pressurized business aircraft made in Switzerland, a plane that is in a management program providing professional crews, maintenance and ground services. To the executive, they still show up on the ramp, ride in a luxurious leather seat, sip the beverage of his/her choice and go where business demands, on his/her own schedule. The only difference is that it costs far, far less than having your own flight department. 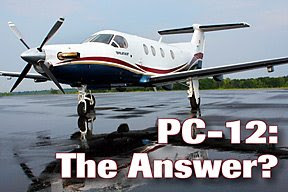 For full disclosure, I have warmed up to this model big time since I have a client who currently arranges just this type of deal for PC-12 owners, and then manages the aircraft for those owners. I have seen this model work up close and personal, and it is a deal that just makes sense...for the owners, for the passengers, for the CFO, for everyone.